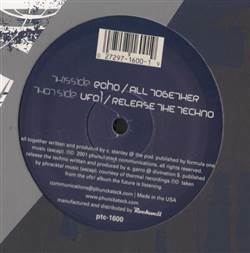 JUNGLE/DRUM & BASS, Phunckateck, USA, 2001... With UFO! 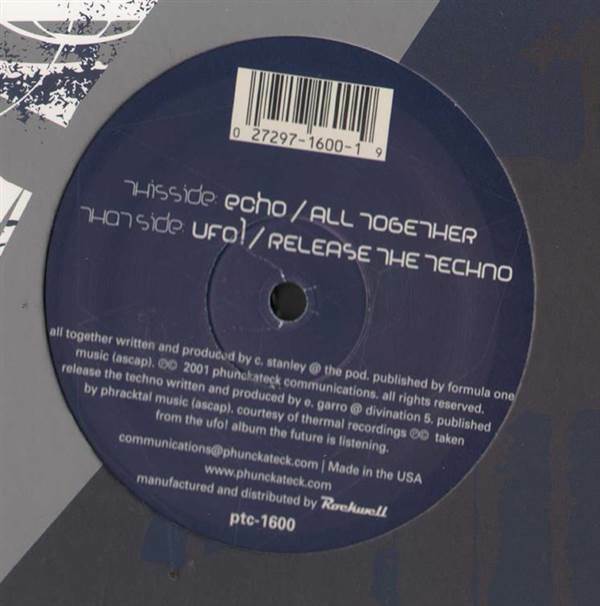 - Release The Techno, Echo - All Together. Pieter K / DJ Abstract & Juju - Traffic / Resist 12" Fla & Unkl' Benz - Here We Come / Coliseum 12" Cathy Dennis / Deborah Cox - Touch Me / September (Remixes) 12" J. Smooth / Kazpa - Check The Vibe / Rude Boy 12"
Mutants - Power Tools 12" Breakbeat Era - Ultra-Obscene (Disc 2 Only) LP Drazen Bosnjak - Ancient Future / Warp 7 12" Freestyles - Play The Game / Learn From The Mistakes Of The Past 12"